Posted October 14, 2015 by finnfemme & filed under Fashion, Vintage. 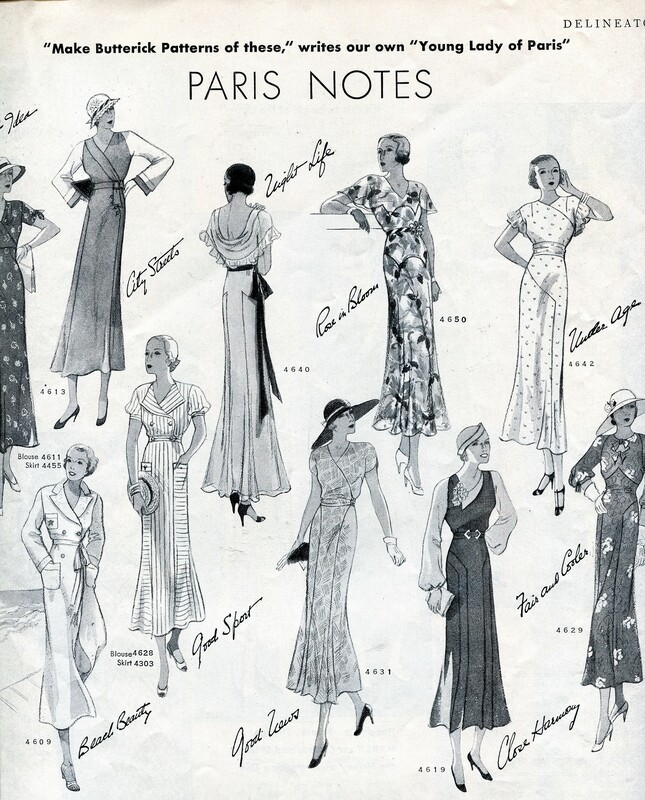 As a vintage fashion lover, I often feel that the 1930s era is often overlooked. 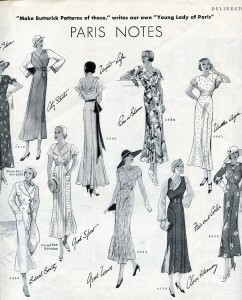 There tends to be an emphasis on the 1920s Flapper style, then seems to jump to the 1940s WWII era. But oh, what gorgeous and delightful styles the 1930s had; even in the midst of the Depression. Here are two pages from the July 1932 issue of Delineator magazine. Delineator was an American women’s magazine that focused on the home, and sewing your own fashions with Butterick patterns. 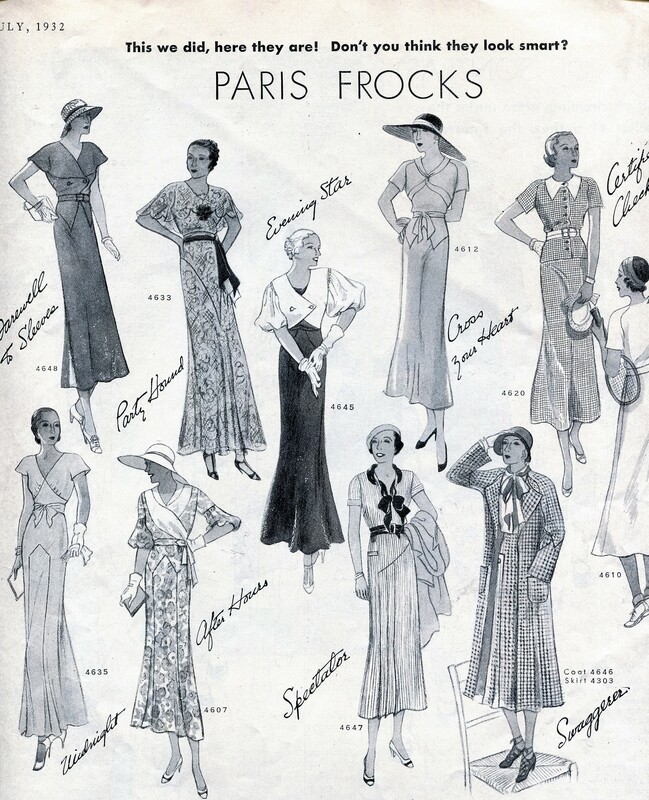 They had their own “Young Lady of Paris”, who dispatched the latest Parisian styles that were made into Butterick sewing patterns. The dresses are just glorious! Such detail and draping. And all for the average American housewife to sew. Most everyone sewed back then, so it wasn’t that difficult of a feat. No sweats and yoga pants for these women of the ’30s! 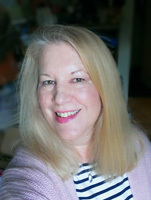 hi Marilyn, i just got a long vintage Kenzo coat from eBay and somehow in the magical way of the internet found myself on your site, looking at your vintage Kenzo tribal-like one of a few years back. I too live in Seattle, so i’m dropping by to see if by any chance you have enjoyed the coat to satiety and are interested in selling it. . .